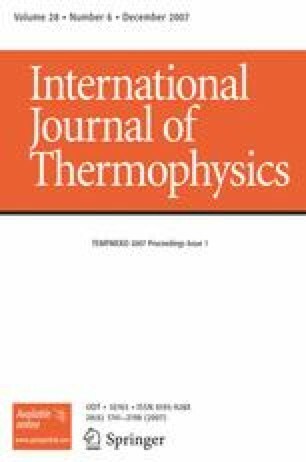 The EUROMET.T-K4 comparison is the regional extension of CCT-K4, an intercomparison of the realizations of the freezing points of Al (660.323°C) and Ag (961.78°C). The intercomparison was organized in four loops. Long-stem standard platinum resistance thermometers (SPRTs) were used as traveling standards: 25 Ω thermometers to be used only at the Al freezing point and two high-temperature standard platinum resistance thermometers (HTSPRTs) to be used only at the Ag freezing point in each loop. Parallel to the measurements with thermometers, the pilots and sub-pilots organized an internal intercomparison using an Ag fixed-point cell. Most HTSPRTs showed a strong drift which is mainly due to mechanical stress and poisoning of the sensor by impurities. This drift can be partially compensated by a correction based on Matthiessen’s rule. An evaluation of the data taking into account both HTSPRTs in each loop, the linkage of the sub-pilots by measurements at the Ag freezing point, and a possible compensation according to Matthiessens’s rule, allows calculation of the results of the participants’ measurements at the Ag freezing point. The results of the participating laboratories are summarized, and proposals for key comparison reference values and linking of the results to CCT-K3 and CCT-K4 are presented.